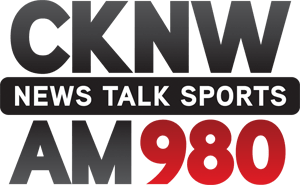 On Tuesday afternoon, I was invited to speak with John McComb, host of “The World Today,” on CKNW 980AM in Vancouver. We discussed my current research on the history of oil pipeline spills in Alberta and the rest of Canada. We spoke primarily about recent spill frequency in the past decade or so. We also covered some prominent spills on the Trans-Mountain Pipeline in British Columbia. If you missed the live broadcast, you can listen to a recording just below. This is incredible work on the part of Dr. Kheraj. It gives us a much better understanding of the risks of pipelines in Canada. Thank you! In my humble opinion, we should take two major actions when it comes to pipelines. First, we should increase regulatory standards so that current pipelines are better maintained and spill less. Second, we should stop building new pipelines. The more we invest in pipelines, the more we “lock” ourselves into the burning of more fossil fuels. And the severity of our climate problem demands that we transition away from fossil fuels as quickly as possible. Thanks for reading my posts and thank you for listening to this interview. I’m very pleased to know that this research is reaching communities across Canada. Your comments about technological “lock in” are very important and should be part of the ongoing debate about oil pipelines. You are quite welcome. Personally, I’m disappointed that I never heard about your research through the larger media outlets. You would think that these types of numbers would elicit some strong reactions from the population. However, we (as a country) seem unable to have an honest, detailed debate about energy and climate. If you are taking a stand (on one side or the other), your arguments have to be simple and narrow. We saw this first hand last week in PEI. The Mines and Energy Ministers of Canada were here and I was involved with a group called Saves our Seas and Shores who’s goal is to… well, save our seas and shores from oil and gas exploration. I made the suggestion that we include climate change as an argument against the Old Harry project in the Gulf of St-Lawrence. However, we ended up deciding to simplify the message to “Protecting the Gulf”. We all agreed that climate needs to be in the debate, but we also know that have too complex of an argument doesn’t work, especially with the media. Thanks for your remarks about news media responses to environmental challenges associated with global warming and energy consumption. This is still a problem with which Canadians struggle. How do we have an informed, public discussion about these challenges? I was pleased, however, to see how much news media attention my research received over the summer. As you can see from earlier posts on this site, my work appeared on several radio programs across the country and in a number of newspaper outlets, including the Vancouver Sun, Georgia Straight, Calgary Herald, Edmonton Journal, and Financial Post. Thanks again for reading my work and for writing about these matters on your own site.